There might not be many things the general world population knows about tiny Belgium, but its famed waffles have made it across oceans and continents. We offer you a short history of the tiny country’s best treat. 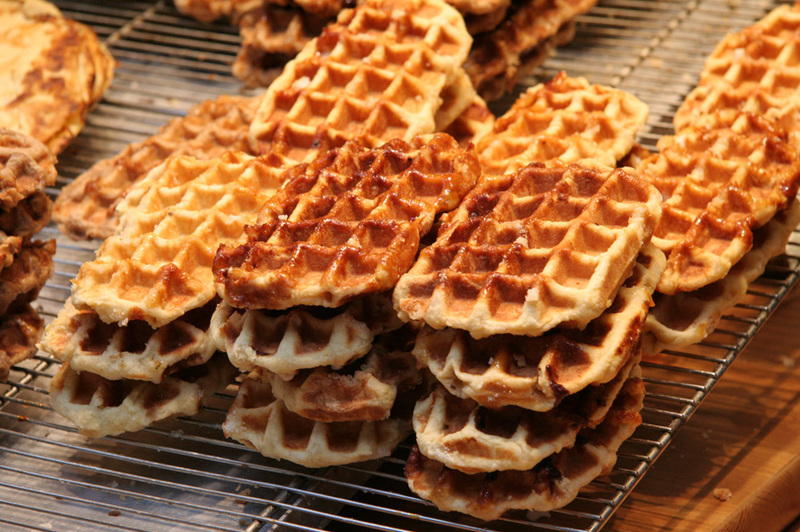 First off, it’s good to know that you’re never simply eating a ‘Belgian waffle.’ You’re either munching on a square Brussels waffle – this is usually the one being served abroad with all kinds of sweet toppings for a sturdy breakfast – or a Liège waffle, its oval-shaped cousin. 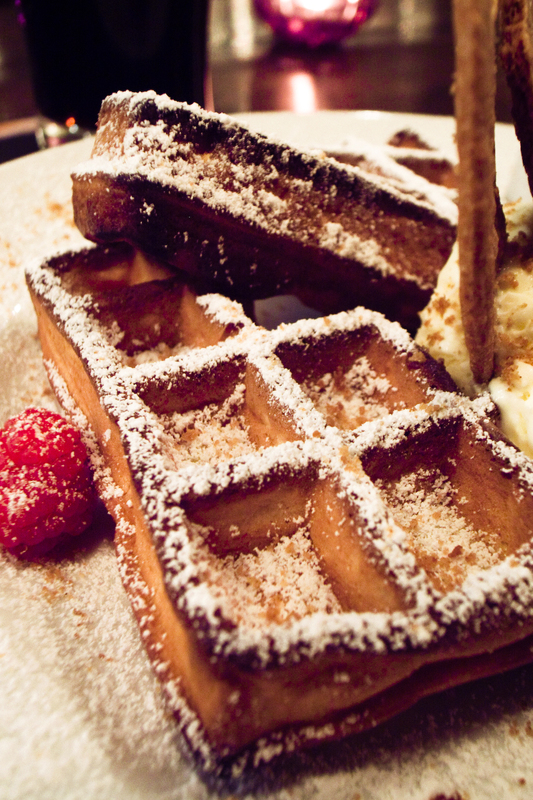 While the Brussels waffle is completely rectangular with perfectly shaped square holes and an airy batter, its Liège counterpart would be the more rebellious, alluring one of the two. Made with brioche dough and with caramelized sugar chunks inside, its gooey richness makes it so any other toppings such as powdered sugar or whipped cream become completely redundant. With this important distinction in mind, on to the Brussels waffle’s origins. As is the case with many a delicious recipe, its exact date of birth and its genius inventor’s name remain unknown. While the first written mention of the ‘Brussels waffle’ dates back to 1874, it’s pretty safe to say that the doughy treat has been around a lot longer than that. The word ‘waffle’ pops up in Brussels literature as early as 1604, and in a Dutch caricature about the Belgian independence in 1830, Willem I’s throne has a picture of a waffle on it next to two types of Brussels beer. 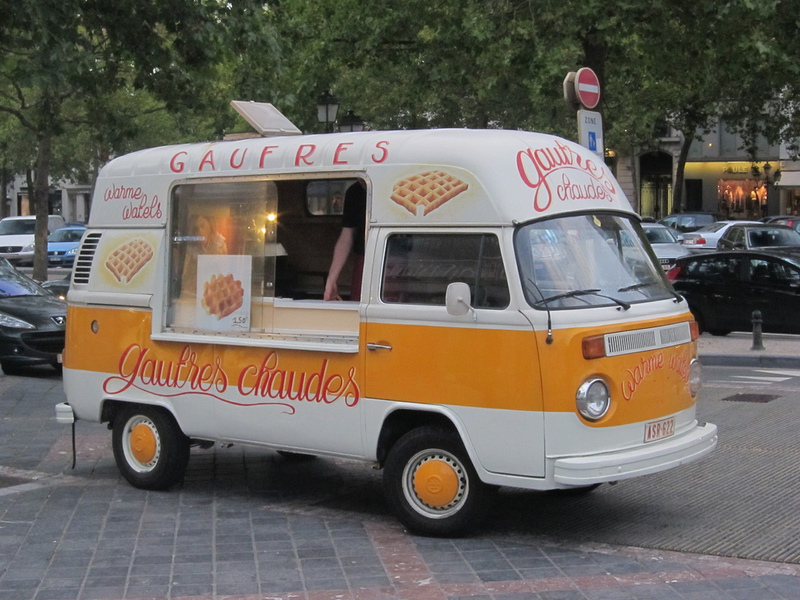 Belgium truly became the place of a blooming waffle industry in the early 19th century, with many Brussels families adding on a booth to their house or opening up a salon at the coast (an area still known for its large number of tearooms or gauferies). The most renowned baker families added yeast to their batter – we’re in beer country after all – and slowly, Belgium’s reputation as a home to waffle craft masters spread throughout the neighboring countries of France, Germany, and the Netherlands. Intercontinental fame took a while longer but finally came its way when the Brussels waffle took a trip overseas for the 1964 World Fair in New York. The booth ‘Bel-gem,’ run by Belgian Maurice Vermeersch, served as many as 2,500 waffles a day topped with strawberries and whipped cream. Amazed by its light and fluffy qualities, the Americans were smitten. 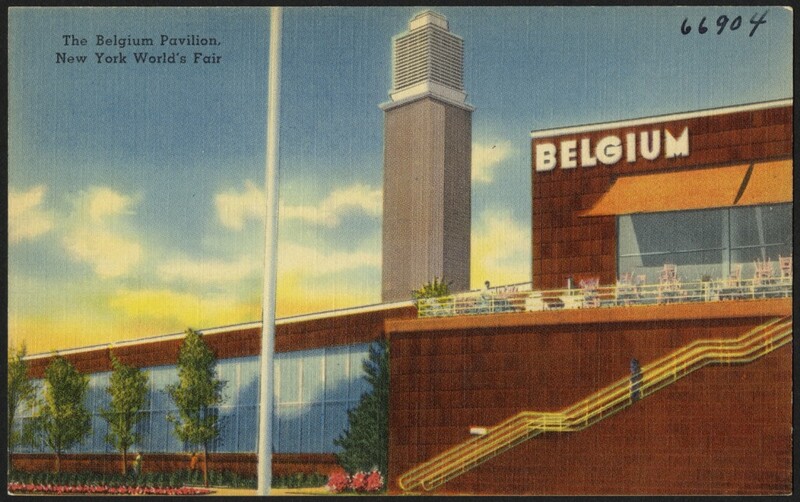 Even the Japanese followed suit when their 2005 Expo in Aichi saw rows and rows of people in line at the Belgian Pavilion for a taste of what’s widely recognized as the best waffle in the world.